I completed my B.E. in Computer Engineering from Pune University. Around mid-way through engineering, I’d already decided that an MBA was the path I was going to take. So I went straight from Pune to IIM Lucknow to pursue my MBA. Post MBA, I started my professional career in Cognizant Technology Solutions as a Senior Business Analyst. After about a year, I moved out of Cognizant and joined Subex in Bangalore in their Product Marketing team. The five years at Subex were a transformative experience. It taught me pretty much everything I know about marketing, from lead generation to lead graduation, from inbound marketing to marketing automation, from sales presentations to pipeline analyses, from analyst relations to social media. I started there as the product marketing prime for one product line, and grew to head the global product marketing team at Subex. But after five years of B2B marketing, I yearned to work on B2C marketing as well. So when the opportunity arose to move to one of the country’s biggest online travel brands, I jumped at it. 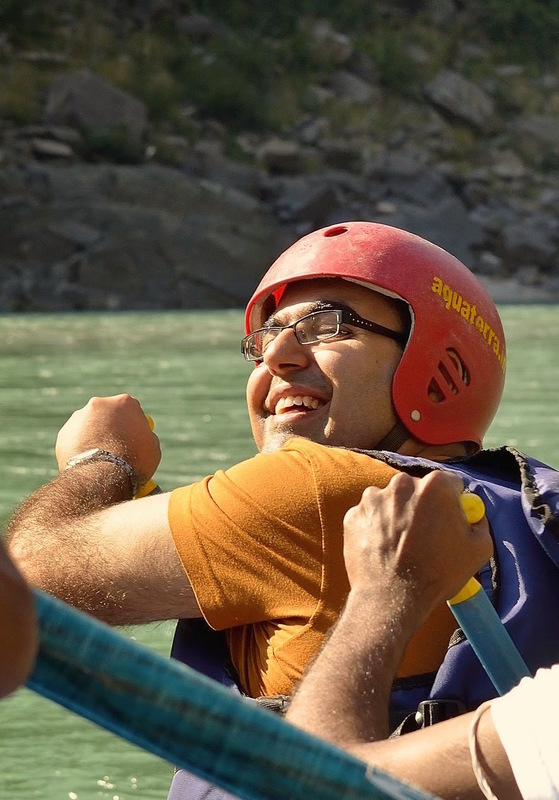 I joined Cleartrip in 2012 to head global product marketing for the entire product portfolio. I planned and orchestrated a number of big product / feature launches there, including Flight+Hotel packages, Buses, Waytogo, Cleartrip’s iOS and Android apps, among others. After doing that for about sixteen months, I moved to product management within Cleartrip, where I now manage the iOS and Android apps.In my free time, I blog about products, marketing and technology at 3rdkosha. My day starts before I reach office: just checking e-mail / Twitter / Facebook on the phone, mostly to see what customer feedback we’ve gotten overnight. Once in office, a typical day is a varied mix of daily scrums for ongoing development projects; defining and refining the product road map; delineating requirements for upcoming features; meetings with Development / Design teams to go over what new features will look like; working with Marketing to understand how user acquisition is going and how we can support those efforts; and responding to dozens of e-mails. In between of course, one tries to squeeze in some time to catch up with what competitors and the rest of the industry are up to. In product marketing, I’d say my greatest success was the launch of Cleartrip’s iOS app in India. Through a series of carefully timed and coordinated marketing activities, we took the Cleartrip iPhone app to the #1 rank in Top Free apps in India (across categories) within 24 hours of launch. As a product manager, the greatest success has been the growth of hotel bookings through the apps. It’s been less than a year since we launched hotel bookings on mobile devices, and already mobile contributes almost a third of Cleartrip’s hotel bookings. We’ve been introducing new features at a relentless pace for hotel customers to give them the widest variety of hotels, the best deals and the best customer experience on mobile, and so far our efforts have yielded good results. And in December 2014, Cleartrip’s iOS app was Featured by Apple in the App Store Best Apps of 2014, the only Travel app in the list. That just served as vindication of our efforts. What is a typical career path of a product manager in your industry? And what are some of the challenges associated with this role? Growth within product management: As you grow, and if you’re good enough, your responsibilities can increase in terms of the breadth of products you manage within the organization. Over time you can be overseeing multiple products within the organization, with individual product managers reporting into you. Ultimately, this path would typically lead to a Chief Product Officer role in a company. Of course there are the usual suspects such as interpersonal skills, analytical thinking, creativity, time management, etc. I will not harp on those. Instead, I’d like to highlight a couple of traits that are usually ignored, but in my view are critical to a product manager’s success. Persuasion skills: Product managers have to work with people from multiple teams who are collectively responsible for the success of the product. While they are product stakeholders, many times these people are not directly accountable to the product manager (in terms of a reporting relationship). So product managers need to exert influence without authority on their team members. For this, they need to have exceptional persuasion skills. Big picture thinking, but with a keen eye for detail: It goes without saying that product managers need to have an eye for detail. They need to see the stuff others might miss. But from time to time, they also need to be able to take a step back from the day-to-day feature discussions and see where the product as a whole is headed. Is it becoming an indistinguishable blob of numerous features, or are all the features forming a coherent whole that’s more than the sum of its parts? In addition to being able to dive deep, product managers need to be able to look at the big picture and make course corrections if necessary. Knowing how to say “No”: Making a successful product requires knowing how to say “No”. Not once, not twice, but over and over again. There can be a million reasons to add a new feature to the product: “it’ll only take 2 hours”; “my cousin would really use this”; “our competitors are doing it”, etc. But as a product manager, you and you alone need to decide if the new feature is true to the product vision, or a departure from it. Does it align with what your brand stands for? Will it really add value to the majority of users, in the context of your product? Will it improve or hinder the user experience? If the answer to any of these questions is no, that’s the only reason you need not to add the feature to your product. And you need to be able to say “No” to the myriad stakeholders who often may be weighing in to get it added.